Suella Braverman is a brave woman. I have been speaking about the dangers of Cultural Marxism for many years, but she is the first Member of Parliament I have heard to use the expression during a speech for the Bruges Group. It is the right and proper term to explain the corrosive cultural atmosphere which has been generated today in the United Kingdom and across the West. Most people understand political correctness. If we are old enough we can remember a time when we were relatively free to make jokes, engage in banter and express our opinions on any topic however thorny, without the fear of being punished or penalised in some way. That freedom has disappeared. Today, we are all walking on eggshells with a heightened sense of tension and anxiety. If you say something politically incorrect just once, an army of social justice warriors will come to destroy your reputation on social media. If you work in certain professions such as teaching or social work you can be suspended, fired and struck off for having the wrong opinion. If you are well known enough as a public figure, reports will appear in the main-stream media to smear and condemn you. This is what has happened to Suella Braverman. (1) Far-left journalists who want to restrict free speech have written article after article in their leftist rags condemning her use of the term 'Cultural Marxism'. In the very act of attempting to undermine her freedom of speech and ban the phrase which describes them so perfectly, they have proven her right. I am very familiar with their tactics. Two years ago, I was standing in the contest to become the leader of UKIP. I responded to a survey about family values, and stated some beliefs and facts which are considered to be politically incorrect. On the transgender issue, there are two sexes: male and female, which are determined by chromosomes and anatomy. I am a social conservative and do not support David Cameron and Nicholas Clegg's re-definition of marriage, and maintain that marriage is between one man and one woman. Some people may disagree, but in a supposedly tolerant society, people with differing opinions should be free to speak and debate. What happened instead was that a swarm of social justice warriors took to the airwaves and called for me to be thrown out of the leadership contest, the party, the London Assembly and from my role at the time as UKIP's Education Spokesman. (2) I defended my statements with reasoned argument and evidence, but no amount of reason will quell a Cultural Marxist. They are not interested in reasoned debate: they are totalitarians who are absolutely intolerant of any dissent to whatever they decide is the politically correct position, like the Big Brother state of Orwell's dystopian nightmare, 1984. The politically correct position is fluid however, so what was acceptable one day or one year, can become unacceptable the next, and vice versa. Thus, revolutionary feminists were ascendant in the last decade, but now they find that they have been subducted under the demands of transgender women. If you oppose men who call themselves 'trans-women' participating in women's sport you are smeared as a transphobic bigot. Almost every day we hear of ever more insane and often sinister examples of our world being turned upside down. A respected Catholic journalist, Caroline Farrow, was called for a 'voluntary' interview for mis-gendering a boy who claims he is a girl, (3) under the threat of arrest if she did not attend. Boris Johnson was hounded for making a joke about burkas looking like letterboxes. (4) Most people found this amusing, but it gave the far-left newspapers an opportunity to get on their high horses and feign selective outrage. With such outrage at simple jokes, let alone controversial ideas, it is fair to say that almost all of the best of British comedy would have no chance of being produced today. Fawlty Towers with Basil Fawlty's famous 'Don't Mention the War!' (5) scene complete with goose stepping in front of some unfortunate German guests, and It Ain't Half Hot Mum, with Windsor Davies frequently berating his unit for being 'a bunch of poofs' (6) were golden greats of British comedy. The miserable 'woke' politically correct brigade of today find it all 'problematic' and want it dispatched down the memory hole. Cultural Marxism is insidious and goes beyond simple political correctness and censorship. It is a total mindset and ideology. Marx viewed society in simple economic terms. The basic premise of the Communist Manifesto, written by Marx and Engels, was that capitalist societies are inherently unjust because the bourgeoisie own all the capital – property and the means of production. In order to make society just there must be a revolution where the oppressed proletariat achieve class consciousness, rise up against the bourgeoise, seize all the capital and collectivise it. Such a revolution would usher in a utopian age and equality, brotherhood and social justice. Wherever Marx's ideas are put into practice however they achieve the exact opposite: poverty, hunger, tyranny and death. Communist revolutions were achieved in the Soviet Union at the end of the First World War, but were resisted in the West which continued to be capitalist. A group of Marxists formed the Institute for Social Research, known commonly as the Frankfurt School, in 1924. They and other Marxists like Antonio Gramsci pondered upon why the working classes in Western Europe did not follow their comrades in the Soviet Union and revolt against capitalism. In 'The Prison Notebooks', Gramsci suggested that civil society in the West was stronger than in the East: social and cultural institutions were far more developed and the working classes were far more attached to them. This provided cultural resistance to a revolution. There may have been economic inequality, but economic and social conditions were slowly improving – thanks to capitalism based upon Judaeo-Christian principles – and the working class did not want to tear the whole house down. Gramsci and the professors of the Frankfurt School suggested that in order to create the conditions for a Communist revolution, they would have to first attack and undermine the cultural superstructure rather than the economic substructure, but realised this would be a long and slow process: a long march through the institutions taking many decades. The revolutionary Marxists of the Frankfurt school then set about this task. Max Horkheimer developed Critical Theory, the aim of which is to undermine the nation, family, marriage and Christianity by relentless, destructive criticism. Theodor Adorno in his book 'The Authoritarian Personality' suggested that Christian belief and traditional family values were indicators that a person is more likely to be a fascist. Herbert Marcuse in 'Eros and Civilisation' suggested that 'monogamic-patriarchal' society was inherently repressive and should be replaced by 'polymorphous-perversity'. Post-modernism, the ugly child of the Frankfurt School, added identity politics into the mix. The working class was abandoned as a means of instigating a revolution as they were too patriotic. Instead, the original Marxist theory of society being in conflict between the bourgeoisie and the proletariat was translated into cultural terms, with a never-ending series of new oppressor-victim narratives. Thus, women are oppressed by the patriarchy, homosexuals are oppressed by heteronormative society, black people are oppressed by white people, immigrants are oppressed by the indigenous population, transsexuals are oppressed by cis-gendered privilege, Muslims are oppressed by everyone, etc, etc. These narratives are wholly untrue, but they strip people of their individuality and corral us into identity groups. The Cultural Marxists of the left accuse anyone who disagrees with them as being divisive, but they are the truly divisive ones by insisting that people are seen not as individuals who belong to their nation, communities and families, but as a collection of group identities, some of which are seen as victim groups and others as oppressor groups. If you are a straight, white, cis-male, English Christian you are inherently an oppressor with maximum privilege, and you must continuously self-flagellate in public to atone for your original sin. If you are a black Muslim trans-lesbian migrant you have no privilege and are a victim on every possible count. Instead of simply creating the equal opportunities where individuals can flourish according to their talents and interests, the state must expand to protect and aid groups deemed as victims until there are equal outcomes between all identity groups. No-one must ever criticise or disagree with anyone with a victim identity as this is 'hate crime' or 'hate speech', which is viewed as more serious than real crimes like burglary or arson. We are in the final stage of the fight to leave the European Union. Our treacherous MPs may drag it on for more weeks or months, but provided they avoid the obvious trap of Mrs May's 'Withdrawal Agreement' we will leave one way or the other. When we have left, we have all the opportunities in the world, but we must continue the fight for freedom. The EU is the enemy without, but Cultural Marxism is the enemy within. It is a cancer which will destroy us if it is not diagnosed and cut out. Suella Braverman has used her platform to name this poison. Now all true conservatives from all parties need to raise our voices and work together to neutralise it. 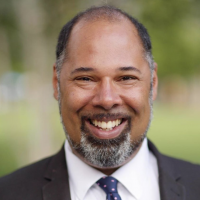 David Kurten has been a London Assembly Member since May 2016, and was UKIP's Education Spokesman from November 2016 to December 2018. Before entering politics, he was a Chemistry teacher for over 15 years and taught in both state and private schools in Hampshire, Botswana, London, Hertfordshire, Bosnia-Herzegovina, New York and Bermuda. Thanks for a clear, concise and easily digestible explanation of the current rot in our society. Check out 'BBC: Brainwashing Britain?' for an analysis of how the BBC fits into the Cultural Marxism paradigm. I agree with most of Mr Kurtens analysis, except for the part where he suggests that capitalism is a "Judaeo-Christian" concept. The Google Gnome search facility reveals that the phrase 'Judeo-Christian' first surfaced in 1934. It was then rapidly disseminated throughout the Western media, and the Western mindset, to engender an affiliation between Jews and Christians. Subsequently, the Anglosphere declared war on Germany.